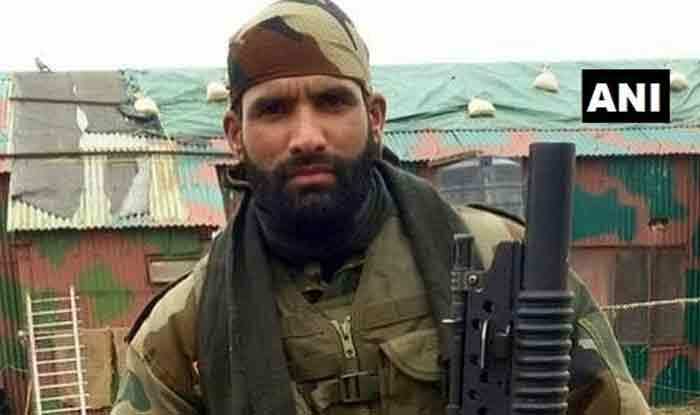 Aurangzeb, who was posthumously conferred Shaurya Chakra on Independence Day 2018, belonged to the 44 Rashtriya Rifles. Srinagar: The Indian Army has reportedly detained three personnel of 44 Rashtriya Rifles in connection with the abduction and killing of rifleman Aurangzeb by terrorists last year when he was on his way home for Eid. Identified as Abid Wani, Tajamul Ahmad and Adil Wani, the detained personnel are being questioned over charges of helping terrorists with the ‘information of Aurangzeb’s movements’, a CNN-News18 report claimed. Two of them belong to Pulwama and one is from Kulgam. The development comes days after Aurangzeb’s father Mohammad Hanief, a resident of Rajauri, joined the Bharatiya Janata Party (BJP) along with former Army officer Lt Gen (Retd) Rakesh Kumar Sharma, in presence of Prime Minister Narendra Modi at a public rally in Jammu and Kashmir. “I have joined the BJP for its pro-poor policies. Modi government is the best in the country which thinks about the poor unlike the previous governments,” the slain rifleman’s father said. Aurangzeb, who was posthumously conferred Shaurya Chakra on Independence Day 2018, belonged to the 44 Rashtriya Rifles. He was abducted on his way back home to celebrate Eid on June 14. Hours later, his bullet-riddled body was found at Gussu village, about 10 km from Kalampora, in Pulwama district. His killing triggered widespread outrage in Kashmir. The soldier was reportedly part of the Army team that had killed top Hizbul Mujahideen commander, Sameer Tiger, on April 30. Hailing from village Salani in Poonch, Jammu and Kashmir, 24-year-old Aurangzeb joined the Army in 2012. He is survived by his wife, parents and three brothers. His father – a retired Army personnel – had requested the central and state governments to eliminate militancy in Jammu and Kashmir. “My son has abided by his pledge, he has kept his promise. He sacrificed himself for the nation and came back to me. I request the central and state govts to eliminate militancy,” he had said.